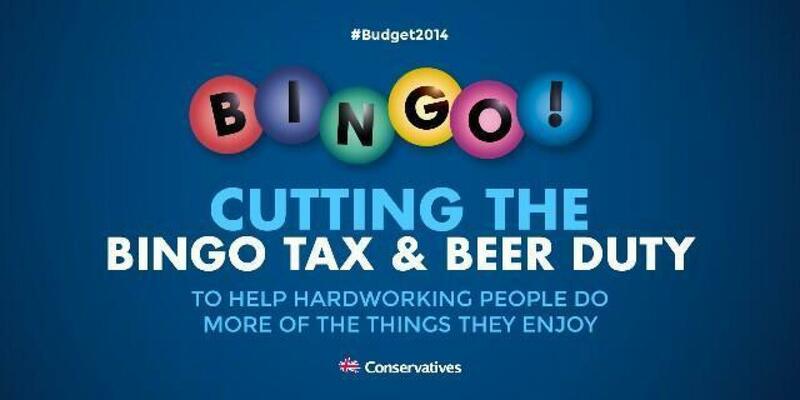 The Conservative Party today released an advert drawing attention to changes to beer and bingo taxes in the Budget. The advert features a big gaudy headline of ‘Bingo’ and celebrates the 1p cut in beer duty and the halving of bingo duty to 10% with the subhead “to help hardworking people do more of the things they enjoy”. I mean, yeah, it’s quite condescending. Ok, ok, it’s pretty much the most patronising, ill-conceived and embarrassing political advert I’ve ever seen. Unsurprisingly, #torybingo took off on Twitter and has been trending nationally for some time now. Any Tory with half a brain and a sprinkling of self-awareness would have realised this was a nightmarish, terrible and suicidal idea. I simply can’t believe it was run. Your post was incredible and I must say that after reading it I came to know certain things about online bingo which I didn’t know before. I invite people to play this game on my exclusive bingo website which offers you with all the variants of the game and apart from this, it also offers you with free practice tutorials. Which ad agency is it Be?